Throughout the country the founding generation of the United States is fondly remembered and idolized even today. However, much like in politics in modern society, there were fierce debates among this idolized generation on what to do about a variety of issues. Slavery was perhaps the most debated of these issues with members of the founders falling on both sides of the debate. John Jay, a member of the founding generation and the first Chief Justice of the United States, was an important piece of this debate. 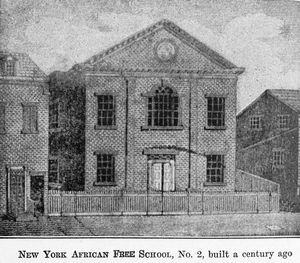 Jay would help to set up the New York African Free School, which he would continue throughout his life to support financially. This school allowed people of color who were free to acquire an education. It is important to note that Jay, while an advocate for freeing slaves also at the same time owned slaves. In a letter to Benson Egbert in 1780, Jay explained his position. This quote is particularly interesting because it is much more of a gradual emancipation position rather than an instant one. Jay much later in his life would make it a trend to buy slaves, particularly younger slaves, use them for labor and then release them as adults once there had been a reasonable return on the initial purchase. This gradual emancipation was certainly a trend for Jay as shown later in 1799 when as governor he signed an act that allowed for the gradual abolition of slavery in New York. This act called, ‘An Act for the Gradual Abolition of Slavery,’ provided that from July 4th of 1799 and on, all children who were born to slave parents would from that day forward be free and at the same time this act prohibited the export of slaves. While this act had some wiggle room, it certainly was a huge step forward in the anti-slavery movement. Certainly Jay fell on the side of anti-slavery, but during his life he was never able to get full freedom for all slaves swiftly. This is not to say that John Jay settled for gradual emancipation, just that he was more of a realist about the situation and climate of the time period. In 1790 approximately one in three blacks in the state of New York was freed but there was still slavery present, primarily in areas outside of the bigger cities like New York City. This meant that there was still a chunk of slave owners in New York State that might have been damaged financially by a full emancipation. This helped make it so the Gradual Abolition of Slavery Act became a redefinition of slavery rather than a full removal. Those slaves born before the aforementioned date were made into indentured servants but essentially this continued these peoples lives as slaves going forward.This was the political reality of not wanting to damage an economy which was still a sizeable part of New York’s financial sector. John Jay’s contribution to the abolitionist movement did not necessarily end when he died. The children of John Jay continued on to affect the abolitionist movement after his death. One of his sons, William, was one of the most significant American abolitionists of the nineteenth century as he participated in peace, temperance and anti-slavery movements while serving as judge in Westchester County, New York. John Jay II who was the grandson of Jay even participated in the anti-slavery movement and became a member of the Free Soil Party, which attempted to prevent the expansion of slavery into the western territories. 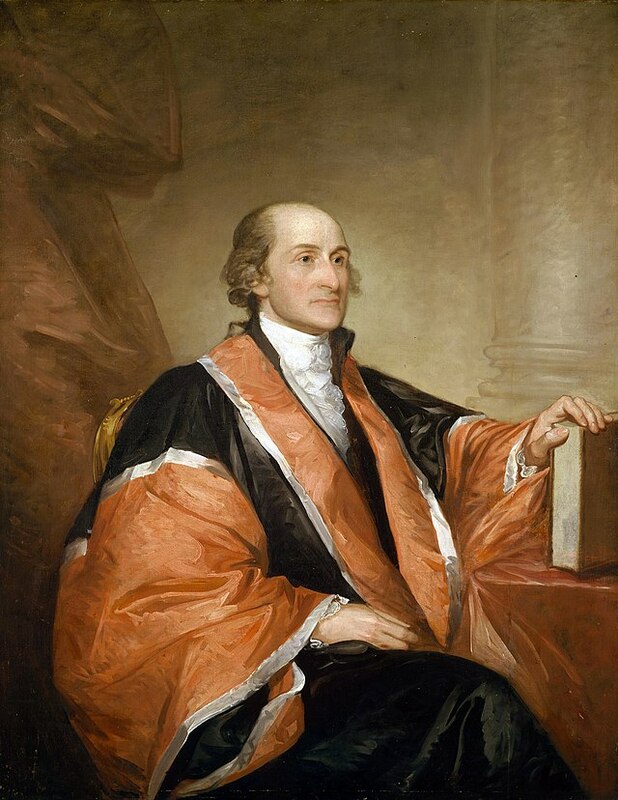 John Jay did much during his life and his ideas had so much of an impact that many of his descendants would follow in his footsteps for several generations. 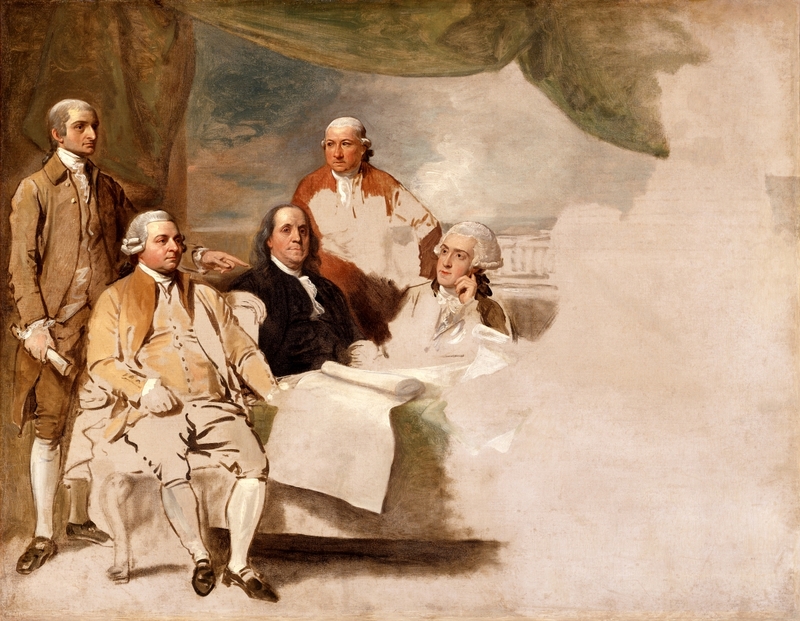 Treaty of Paris by Benjamin West, 1783 From left to right: John Jay, John Adams, Benjamin Franklin, Henry Laurens, and William Temple Franklin. The British commissioners refused to pose, and the picture was never finished.